Antietam Cable Television approached the team at Icon Graphics to create full-page and banner-sized print ads for the local newspaper, matching the minimalistic strong tone of their new TV spots. I was tasked with creating a print strategy for this “Home of the Future” campaign. The client was thrilled with the result. One of the struggles I had with preparing for the campaign was finding suitable images. They all needed to be easily masked from their backgrounds or have a white background, and be able to work together with other images. A decent chunk of the time spent designing these ads was in selecting and prepping the images. Typographically, I chose to go for high-contrast between Myriad Black or Bold and Myriad Light. I found that this communicated both strength and sophistication, which is exactly the feeling Antietam Cable wanted in their campaigns. 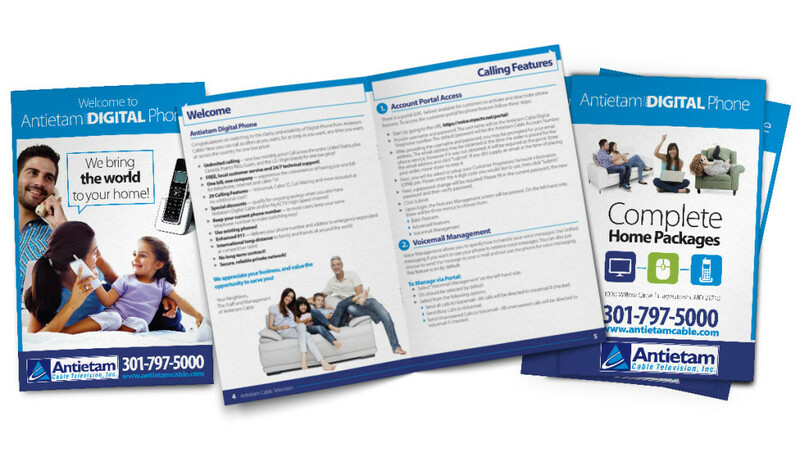 After the ad campaigns were so well-received, Antietam Cable came back to the team at Icon and asked us to redesign all of their collateral materials in the same theme as the ad campaign. This included their cable channel guide, digital phone booklet, services pricing guide, digital phone brochure, digital cable brochure, high-speed internet brochure, business-class services brochure, and business-class services stepped one-sheet inserts. Once again, these designs were successful: the client approved the design, which was created specifically for ease of use for their customers. All around, it was a win-win. Initial full-page newspaper ad design for Antietam Cable’s Home of the Future ad campaign. Design for Icon Graphics. Full-page newspaper ad design for Antietam Cable’s TV service as part of their Home of the Future campaign. Design for Icon Graphics. 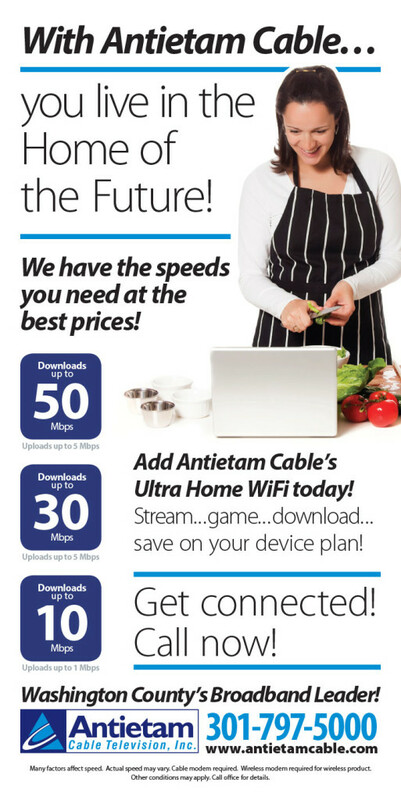 Full-page newspaper ad for Antietam Cable’s internet service as part of their Home of the Future campaign. Design as part of Icon Graphics. Banner ad design for insertion in the local newspaper for Antietam Cable’s DVR service as part of their Home of the Future campaign. Design for Icon Graphics. Banner ad design for insertion in the local newspaper for Antietam Cable’s WiFi service as part of their Home of the Future campaign. Design for Icon Graphics. 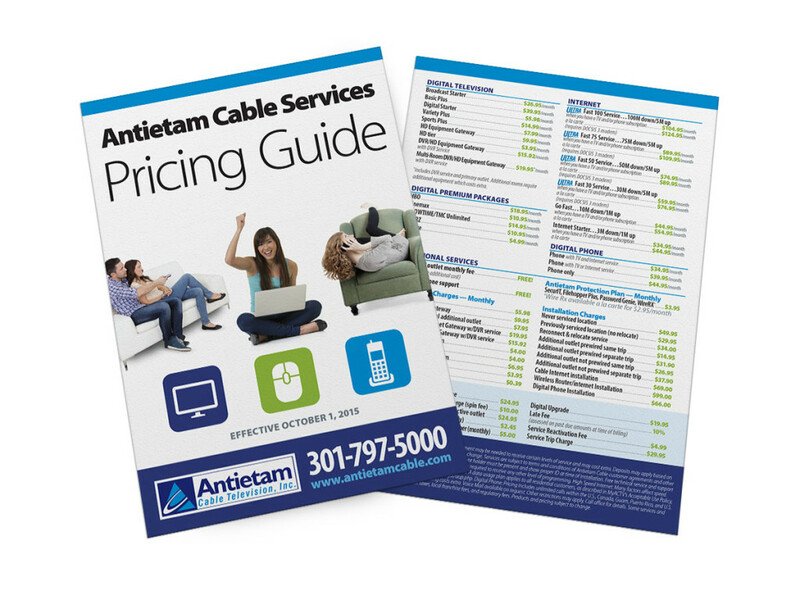 Antietam Cable’s pricing insert for their services, based on the successful design style used for their Home of the Future campaign. Design as part of Icon Graphics. 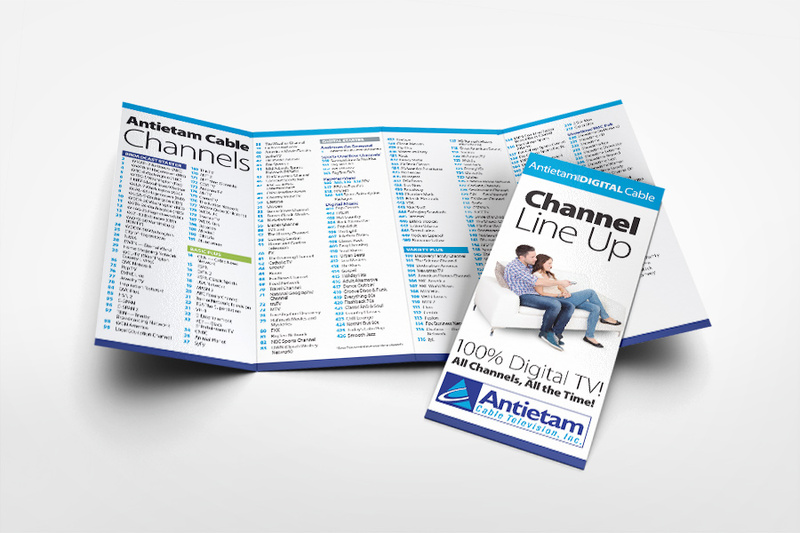 Antietam Cable’s channel guide design, as part of the team at Icon Graphics. 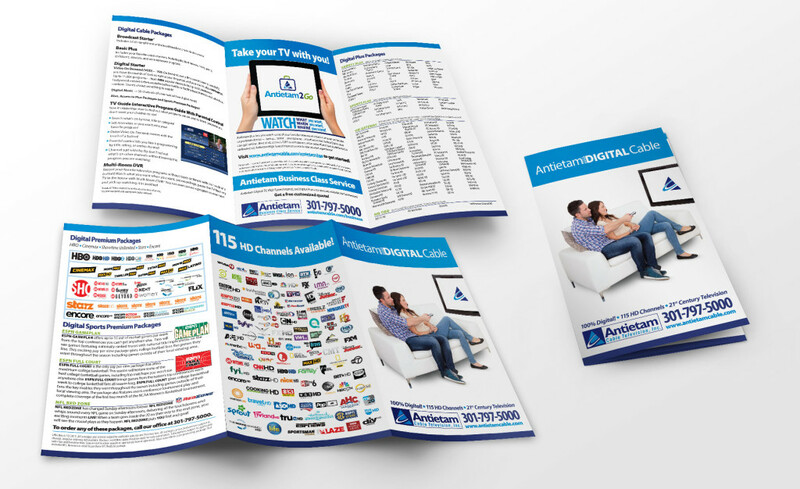 Antietam Cable’s TV Packages brochure, designed as part of the team at Icon Graphics. 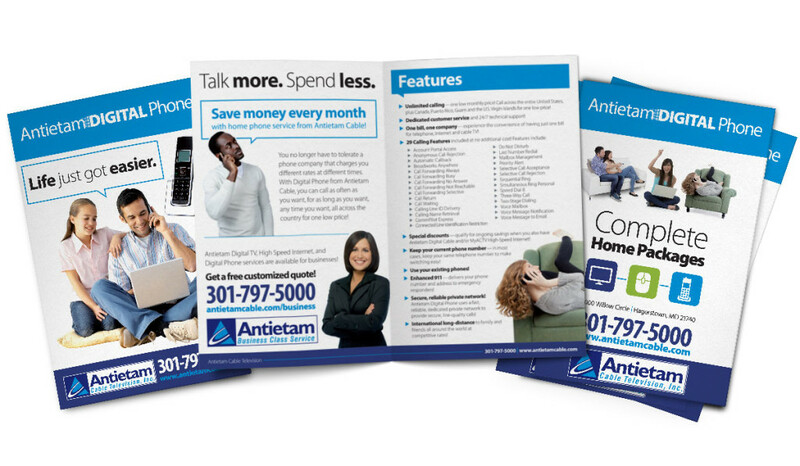 Bifold brochure design for Antietam Cable’s digital phone service, as part of the team at Icon Graphics. 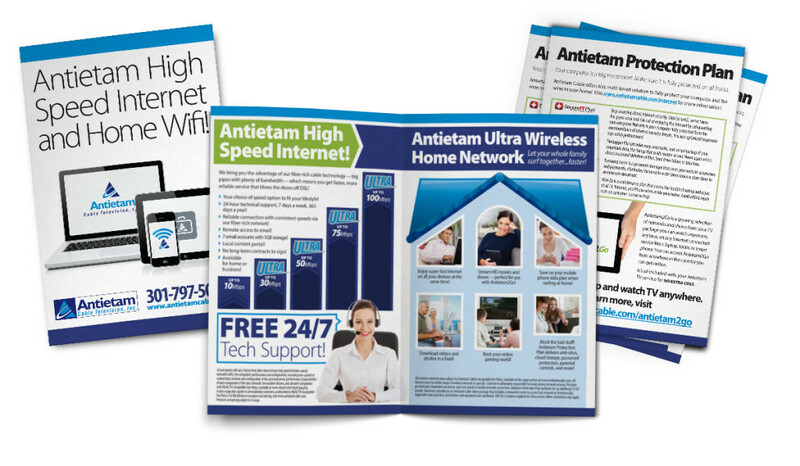 Brochure design for Antietam Cable’s high-speed internet service, using the same design style used in their Home of the Future campaign. Design as part of Icon Graphics. 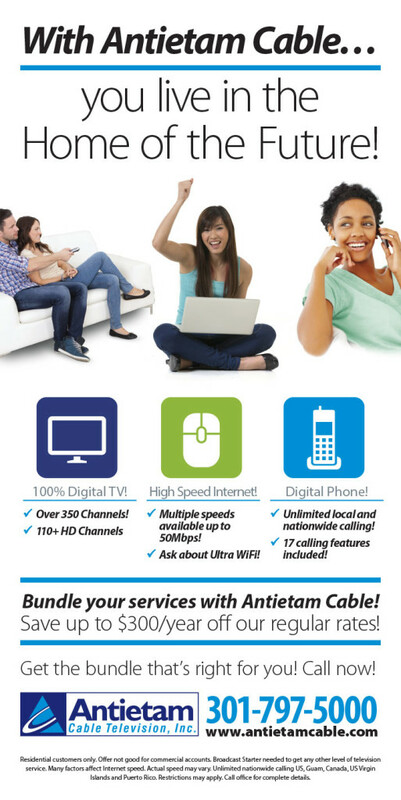 Digital phone booklet design for Antietam Cable’s digital phone service, designed as part of the team at Icon Graphics. 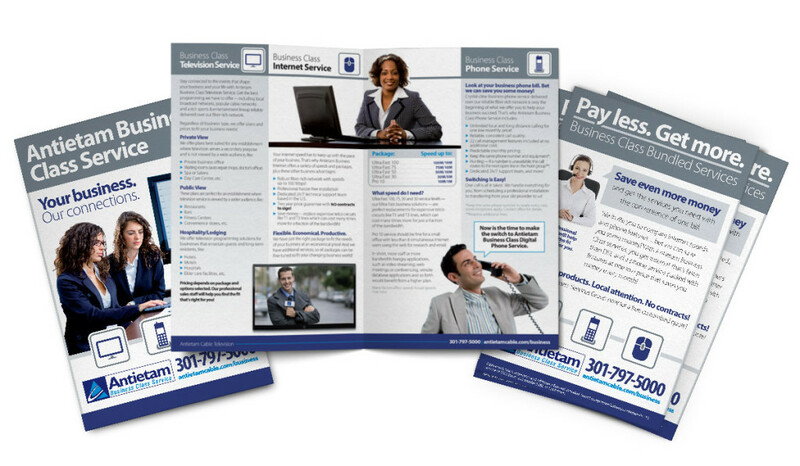 Bifold brochure design for Antietam Cable’s business class services, as part of the team at Icon Graphics. 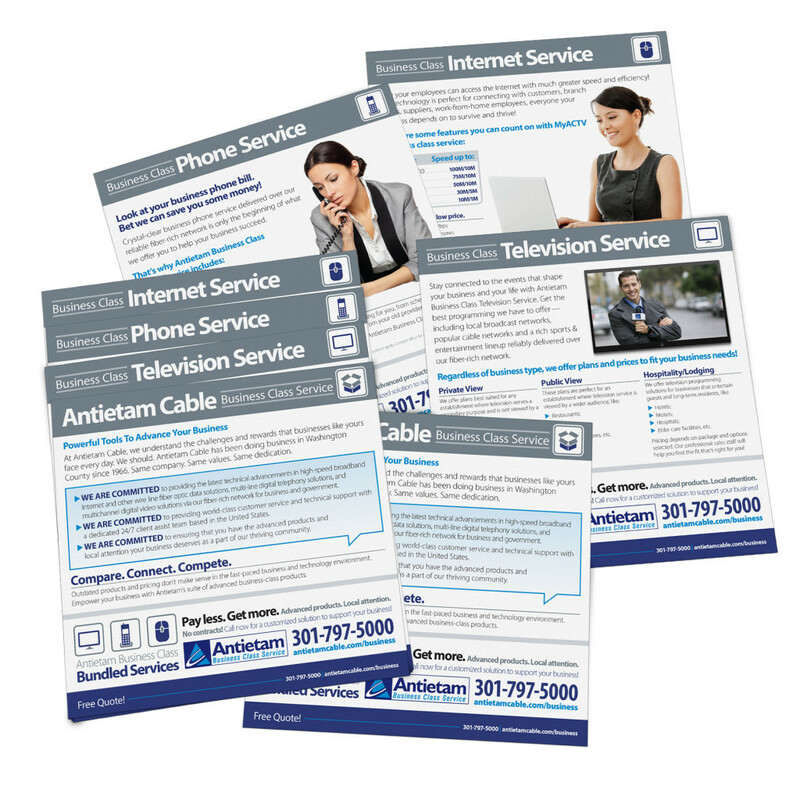 Stepped sales sheet design for Antietam Cable’s business class services, using the same design style established in their Home of the Future campaign. Designed as part of Icon Graphics. ← Photoshop Adventures: Power Lines, Be Gone! Copyright © 2019 Dani Ward,. All Rights Reserved. Designed by bavotasan.com.